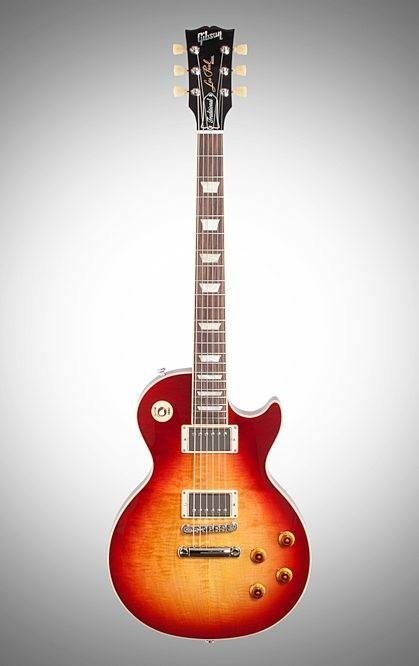 A non-weight-relief classic Gibson 2019 Les Paul with all the ingredients that make the LP the most desirable dual humbucker axe ever made! 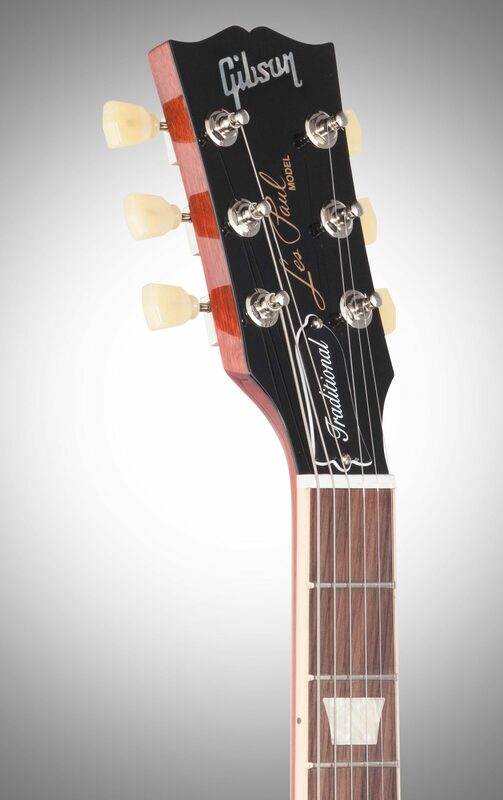 The Les Paul Traditional retains the archetypal feel of the vintage Les Paul guitars in its rounded neck profile, solid rosewood fingerboard and non-weight relieved body. Traditional looks are complemented by the legendary tonewood combination of a mahogany body and AA figured maple top, vintage style tuners and ABR bridge and nickel-plated hardware. 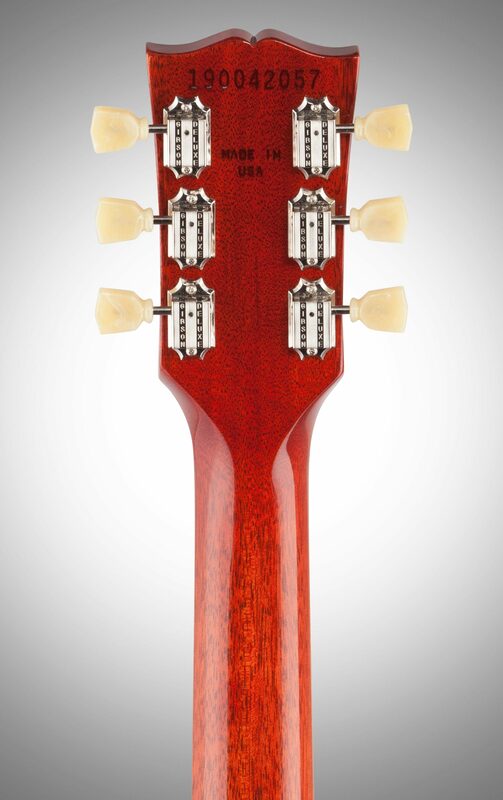 "Gibson Is Back On Top Of Their Game!" Overall: I've owned countless Pauls over the course of my 50 years of playing guitar but this Traditional is the first of it's kind that I've owned and I have to say that I'm very impressed & it takes a lot to get me impressed. I purchased 3 Les Paul guitars over the the last 5 years & sent each back because of quality problems. Either there were very serious finish problems on the guitars or the 1st through 3rd frets bowed up and couldn't be fixed with any neck adjustment whatsoever. I knew that at the time, Gibson was going through a very tough financial situation & in my opinion, management that had no idea of what working musicians want. In short, Gibson lost it's way. Well, after emerging from restructuring and change of management, (Auto tuners? Seriously?) I'm happy to tell you all that Gibson is back. The Heritage Cherry Sunburst Traditional I got from zZounds is absolutely beautiful and perfect. There's not one single imperfection on this guitar. When I opened the case, I was blown away with it's beauty and then that sweet nitro finish smell hit me. I can honestly say that I was completely satisfied with the Traditional and she's definately a keeper. I like the thinner neck on the Classic and was a bit hesitant in purchasing the Traditional because I read that the neck was thicker & rounded but it turns out to be very comfortable and nowhere as thick as a Custom. 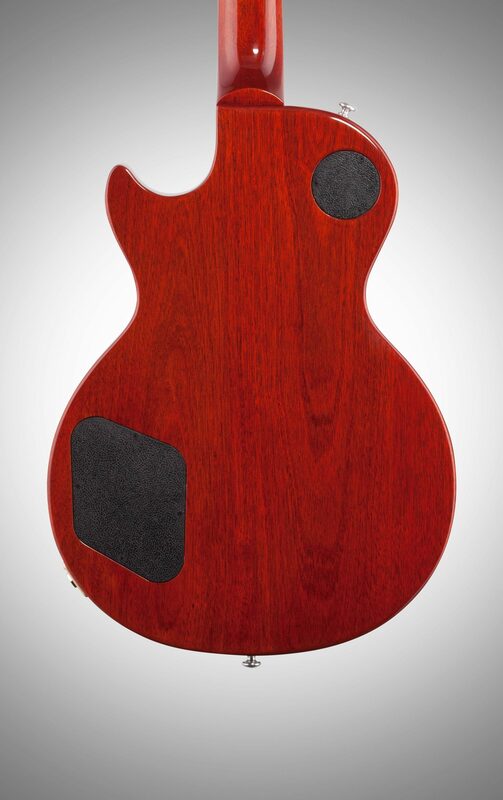 The neck & fret work are smooth and easy to play just as fast as you like with no problems. 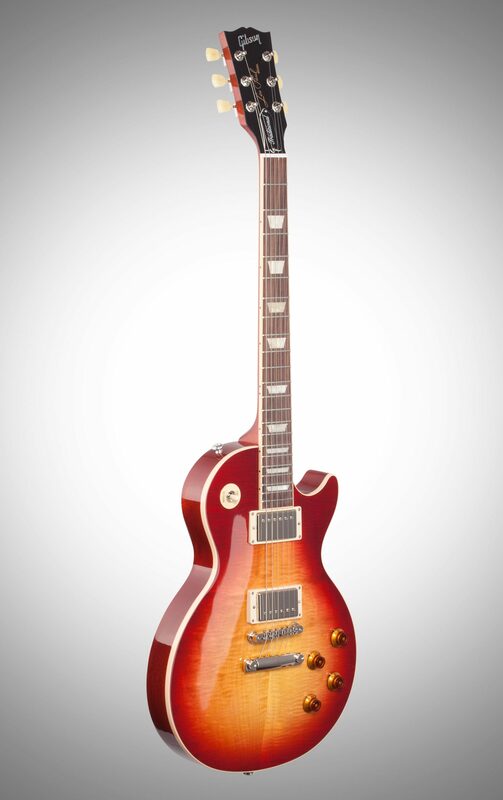 When I bought this guitar, I was looking for a "Real" Les Paul & that's what I got. No dip switches, coil splitting or out of phase option. 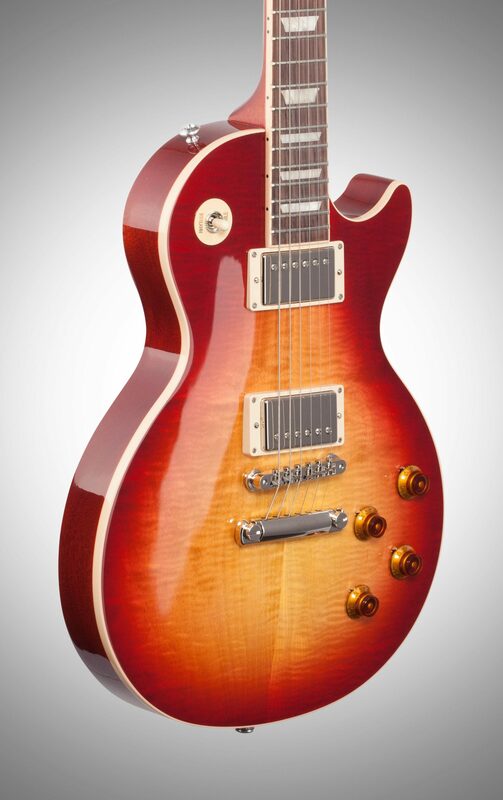 Just a good old fashion bad a$$ solid body Les Paul like the Standards use to be. If there were only one grip I could have, it would be that the setup wasn't as good as it should have been but if you're like me, that's nothing that you can't handle yourself. If you're looking for a guitar that can dish out anything you can throw at it, this is the one. If you're on the fence, come on down and go for it, you won't be sorry. This the best Paul I've had in years! Thanks zZounds! Overall: When I tested this model guitar I instantly fell in love. The sound, look, feel were straight heavenly! I own 3 other Les Pauls and this is by far the mother superior of my collection. Received it yesterday and plugged into my practice Fender XD and it literally brought that amp to a whole new level! I can't wait to plug into my Marshall 100W tonight!!!! 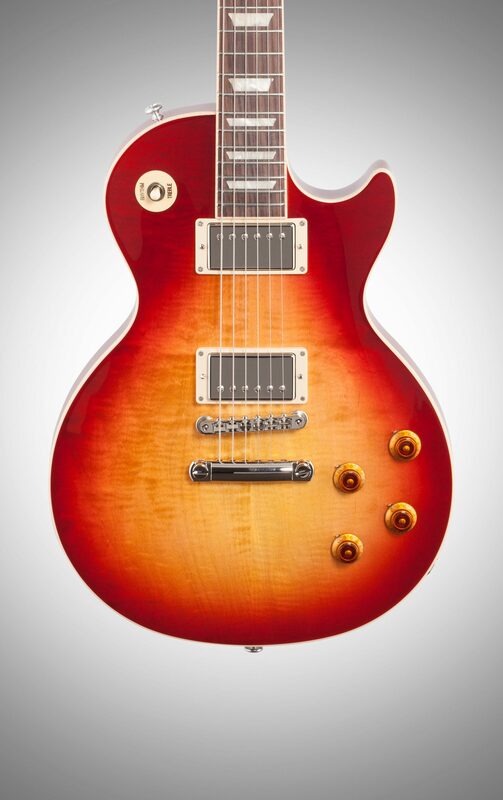 I've always been one of those that criticized the pricing of Gibson, but let me tell you, the price IS SO F'N WORTH IT!!!!!!!!!! Do yourself a favor, save up your $, or better yet, order through zZounds if you're a "must have now" kinda person that lives paycheck to paycheck. Every serious guitarist should own this Les Paul! 1 of 2 people (50%) found this review helpful. Did you?